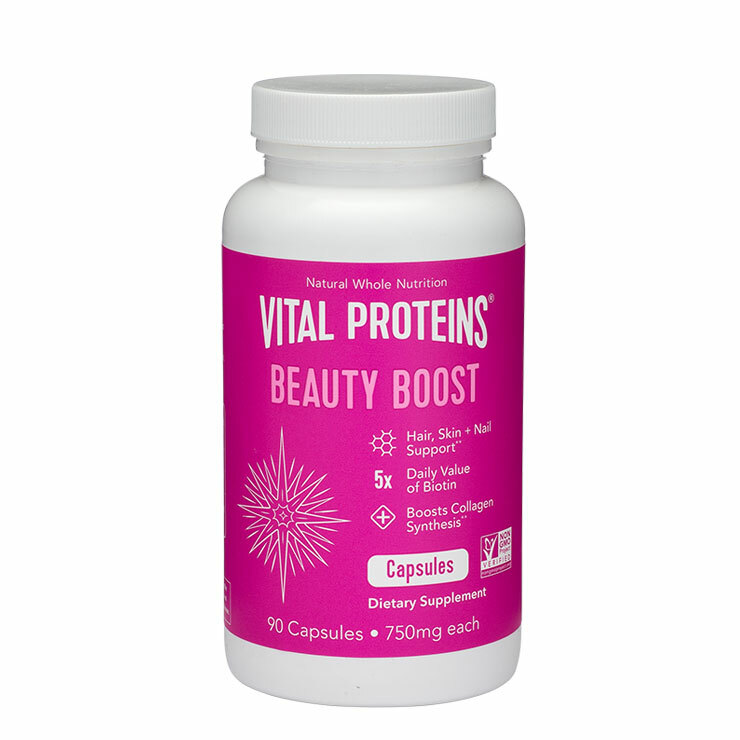 Beauty Boost capsules by Vital Proteins offers a convenient way to improve the appearance of skin, hair, and nails that is collagen rich and vegan friendly. Sesbania grandiflora, otherwise known as the hummingbird plant, is the main ingredient in this natural supplement, used to offer feelings of bolstered immunity and overall well-being. Guava. amla, and holy basil improve signs of skin aging and acne. Bamboo lessens the look of inflammation, while mustard seed provides antioxidants. The result is a sense of good health on the inside and a look of natural glow on the outside. 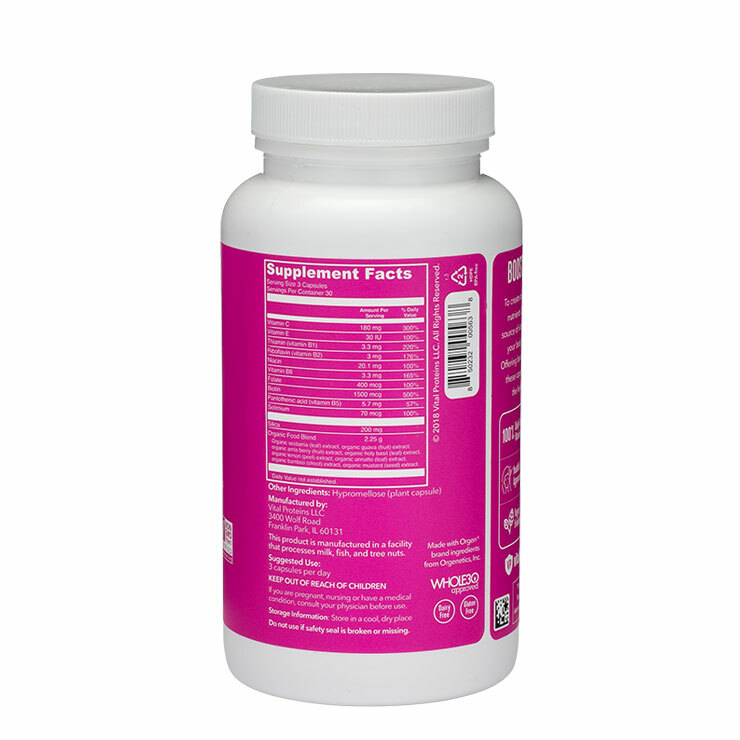 This supplement is vegan, paleo friendly, Whole30 approved, gluten-, dairy-, and sugar-free. Take one capsule each day to improve the look and feel of skin, hair, and nails, and offer an overall feeling of good health. This supplement is vegan friendly.